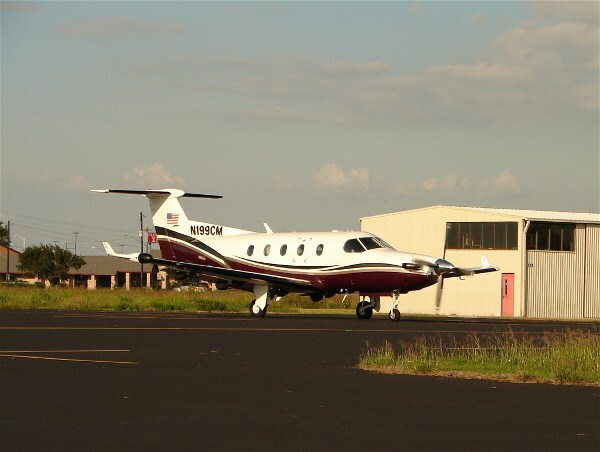 We take pride in delivering World-Class Pups & Service to all of our customers. If they didn't have success the 1st time they wouldn't come back! 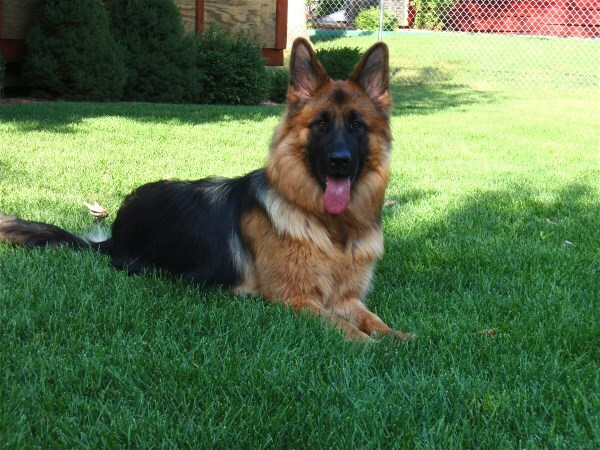 Read what 51 of our satisfied clients have said about us, their dogs and their success! Phone References with previous clients available by request. Baby Kalif 8 weeks old! 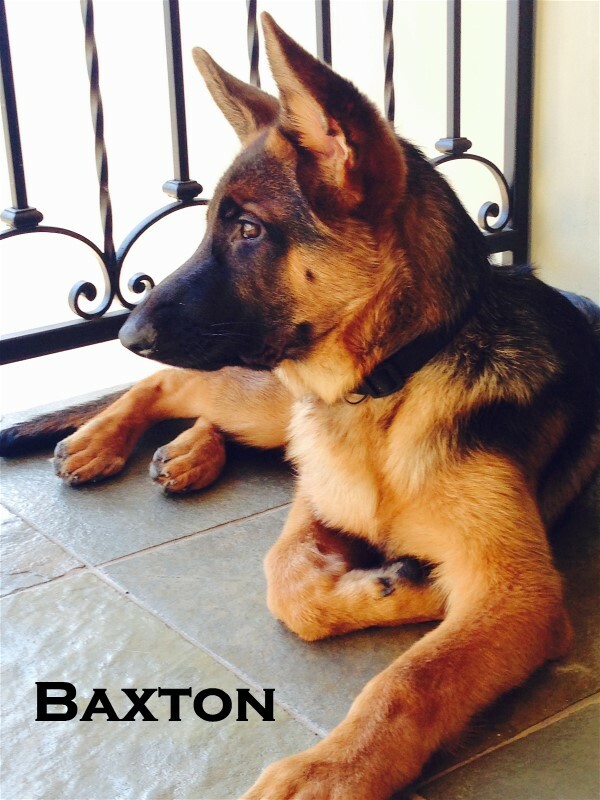 I wanted to send you an update and a picture of Rex, formally known as Baxton. He loves us all but I am definitely his favorite. I call him my "handsome boy" and he lives up to that name. You were right, he is absolutely gorgeous! He gives me hugs all the time and loves sitting on my lap, he doesn't know how large he is...and can barley fit on my lap but I'm totally ok with it. Here is a pic I took of him this morning...we sit on the back patio together every morning while I have my coffee. Just wanted to let you know how our little man is doing. Ari will be 9 weeks old tomorrow and he already sits on command and walks nicely on a leash. He's sleeping close to 6 hours before waking me to go outside to potty. He has completely won me over and is responsible for healing the hole left in my heart when I lost my Sam. He is all I hoped he would be, and I look forward to a very long journey we will make through our future together. Thank you so much for your careful and loving breeding program. Breeding DOES matter and has blessed me with my new Best Friend. Ace (Original name Arek) is doing super! He is my little shadow following me everywhere. He was a great traveller on the way home and no car sickness. He is adjusting very well. Thank you very much! We definitely picked the right puppy!! This is his favorite toy, and it barks also. still alive and well, but all of us are aging fast. The girls are both 12 years old now! more than a year now. 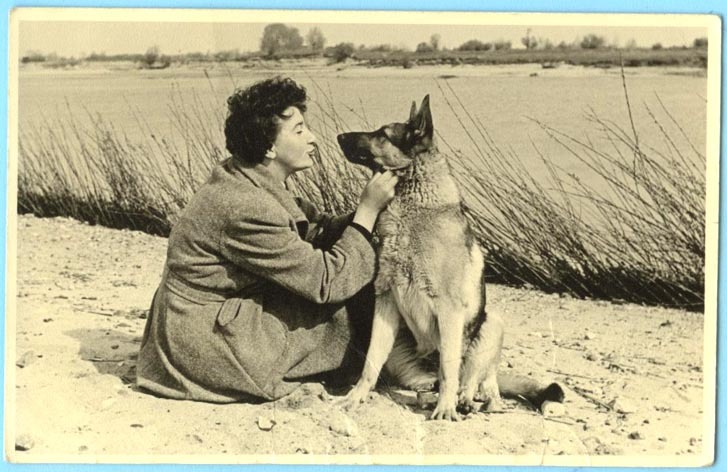 She was his Constant Companion during his illness and never left his side. They had an incredible bond! I plan on Retiring in a year and plan on coming to Texas to visit you. Thank you Cindy for being exactly the type of breeder I was looking for. Honest, honest & honest !!! I also appreciate you being available with TONS of support right from our first conversation and continued with support after she came home. Thanks to you and God I ended up with the puppy (baby )of my dreams. It's a great feeling to know I will continue to have your support & advice throughout Zoe's life. 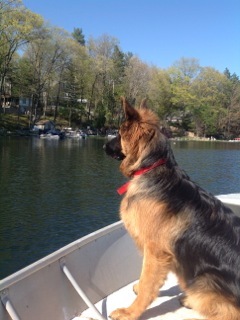 intently staring at Blue Gill! Thank you for bringing this wonderful puppy to us! Just wanted to drop a line and let you know that Bessy is doing very. She is very loved and very loving. We enjoy her more everyday. She has become my constant companion and is always great company. She has a great temperament, not easily rattled, and great with kids. Fireworks, guns going off have no effect on her. She just looks on with curiosity. We are going on vacation for a week, and she will be going with us. We have found all pet friendly hotels and plan to do some hiking in Colorado. We figure we all need a break from this south Tx heat. In preparation for our trip, we have been going to dog lessons. As our trainer says, she is very smart. She caught on to walking on a loose leash very quickly and is doing great downs. When we get back we will start doing some off leash work. I hope all is well at Elite. 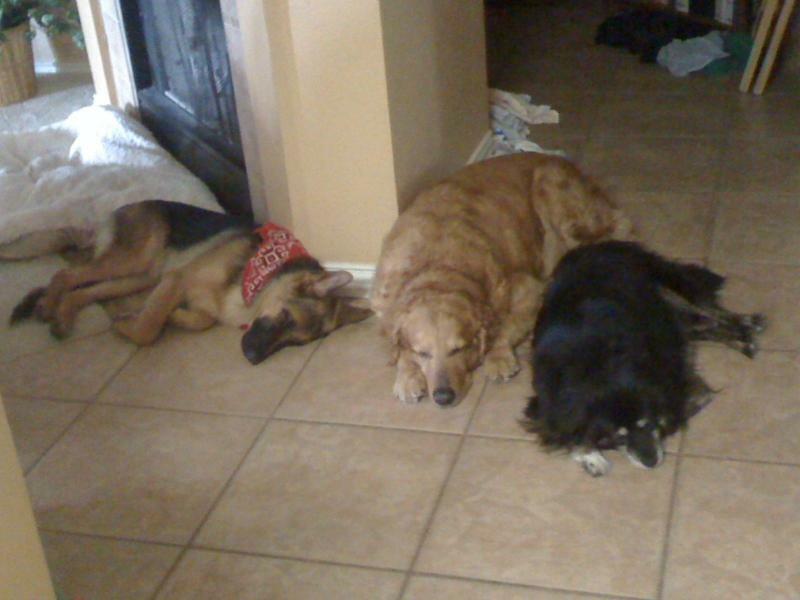 Just wanted to let you know how Bessy and her family is doing. We love her more everyday. 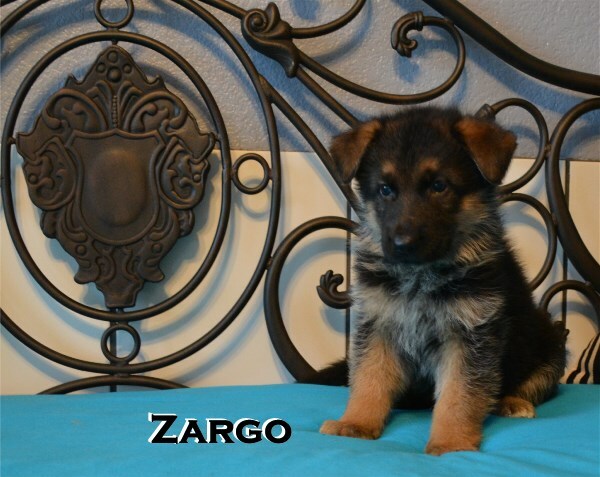 Hi Cindy, We wanted to send you an updated picture of Zargo with my daughter. 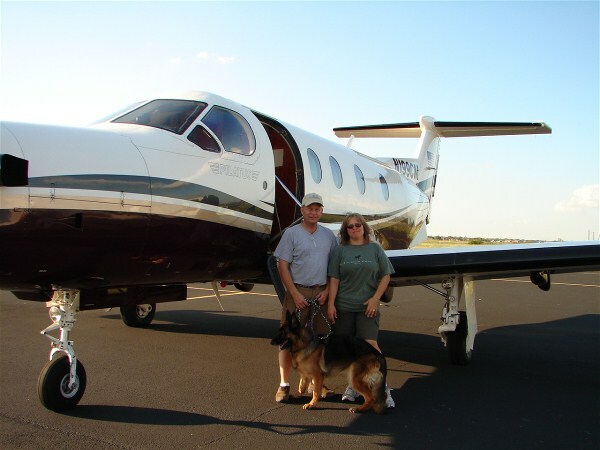 Sonya is the 1st Dog Ever to be Flown from Germany to Honduras! 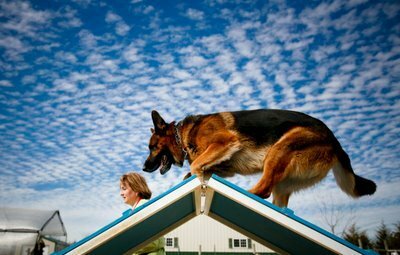 Another Elite German Shepherds 1st! Could Win in the Show Ring and get it into Honduras! He wasn't sure that it would be possible. Congrats to ALL of You! We are so Proud! 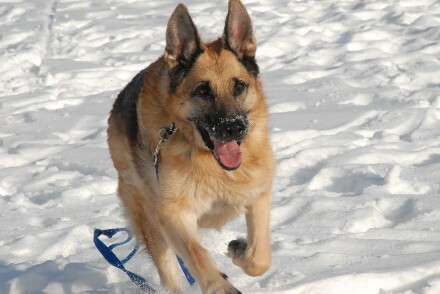 Cindy- we are so excited that Apollo is going to join our family tomorrow. 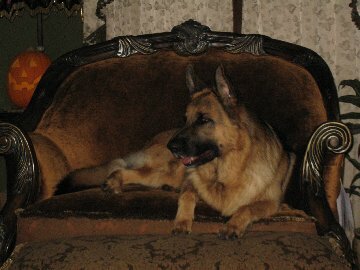 Our house has been empty since our last Von Fenwald Shepherd, Aiko, passed away. 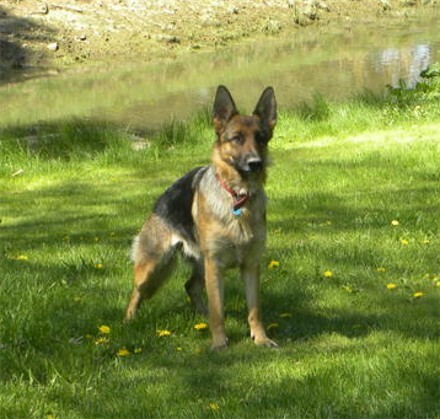 Aiko was by far the finest dog we have ever owned. From the first day he arrived at our house as a puppy, he was perfect in every way. 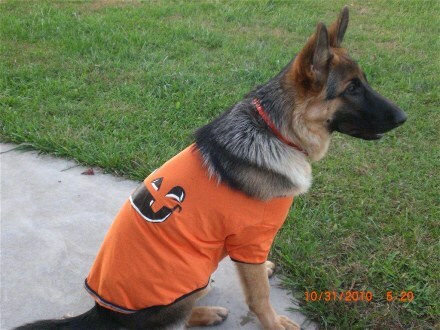 Aiko was everything a German Shepherd Dog is bred to be. He was brave, protective, loyal, keenly intelligent, and so very kind and gentle with his pack and small children and other animals. 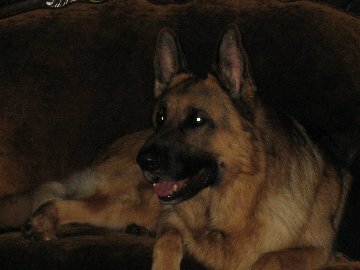 He was my best friend and confidant for over a decade. He was also an intrepid traveler. We took him everywhere with us and he visited most of the States and 7 countries in Europe. I miss him more than I can begin to articulate. Your dogs are the very best. 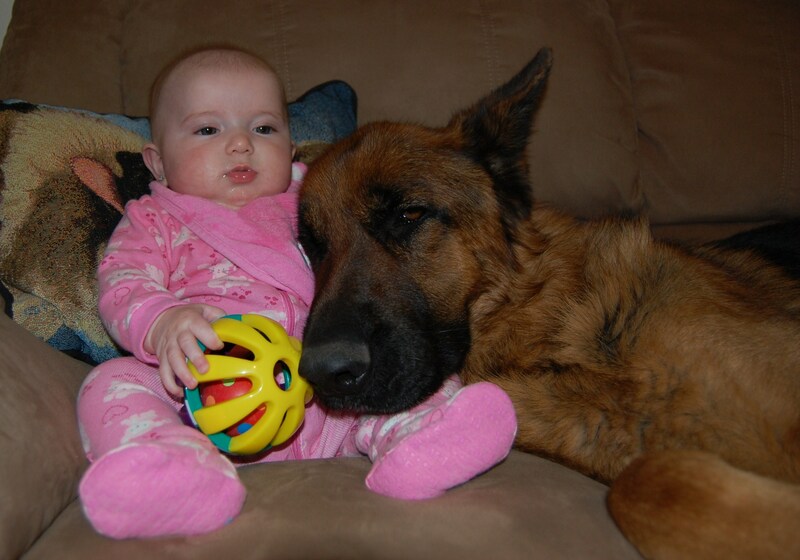 Our household will never be without one of your babies. 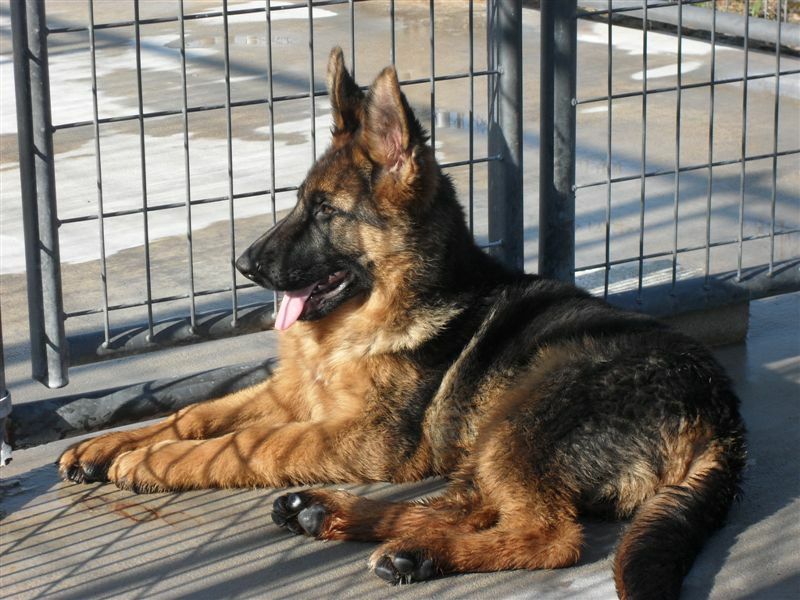 Just got a beautiful puppy named Rieland, a true German Import absolute beautiful dog exactly as described. 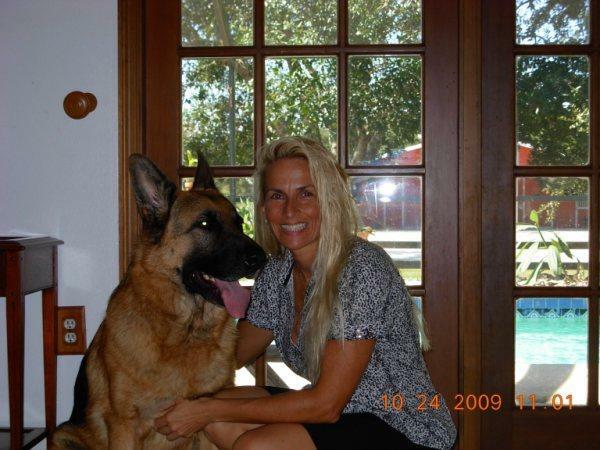 Cindy is a great breeder she cares for every dog as it is her own she makes sure at time of delivery and next day dog is doing well she wants to stay in constant contact with you after dog is sold. 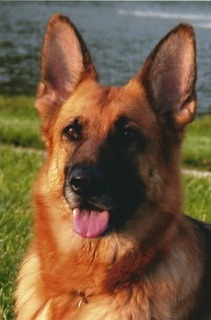 She is very knowledgable on all aspects of german shepherds she is from Germany herself. 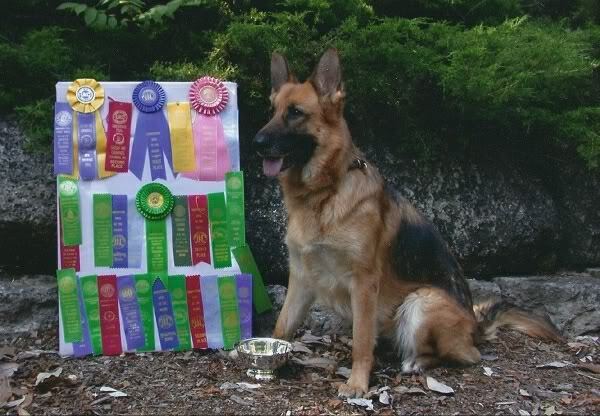 If you go to her website you will see the top dogs from Germany she has breed and the testimonials all are top notch so lucky I found her. 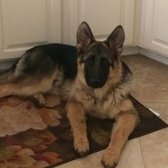 We live about 90 minutes outside of Austin, Tx and have been searching german shepherd breeders for a long time. We are very impressed by your dogs and puppies! And especially your testimonials. My grandparents and parents before me owned shepherds all my young life and I have always dreamed of making one a member of my family. We have decided that you are absolutely the Breeder for us. Even though we are not quite ready, you spent several hours speaking with us! No one else has done that and your dogs are the best out there. Can't wait to get one in the future. Thank you Cindy for all your help. We'll be in touch. end up dog less . Sires and Dams to choose from. one of my kiddos from another dog or other danger. October and our divorce was finalized in Jan 2014. 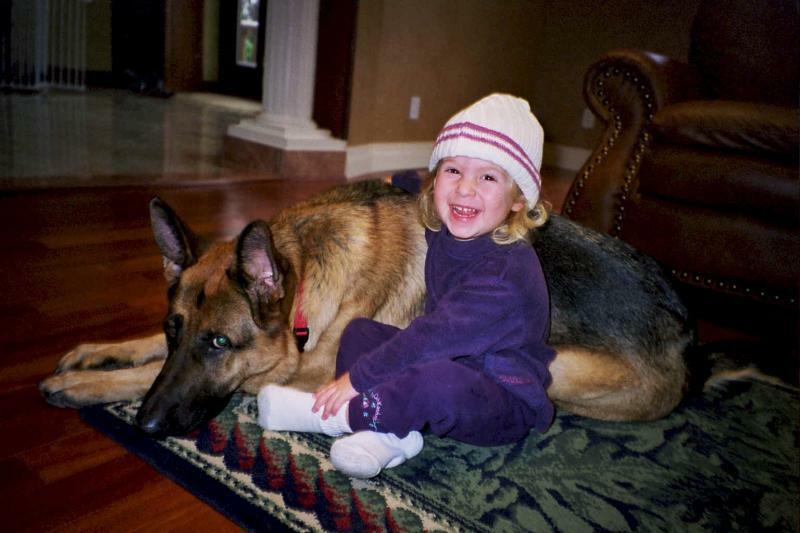 "God, thank you for my GSD Hero!" 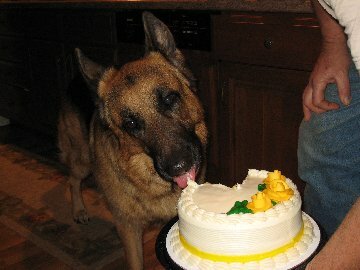 Cindy, Thought I'd share this photo of Pistol on his Birthday. 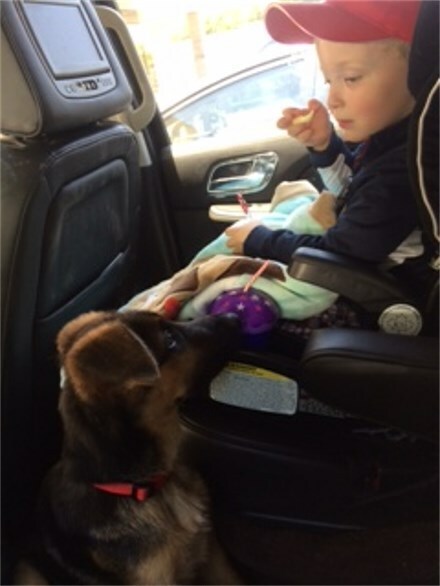 Renee's 1st comments: Lena arrived at O'Hare Airport in Chicago, safe, secure and on time. Her crate was spotless. She cuddled in my arms and lap the entire way back to Crown Point, Indiana. She is Beautiful, Loving, Relaxed and Calm. 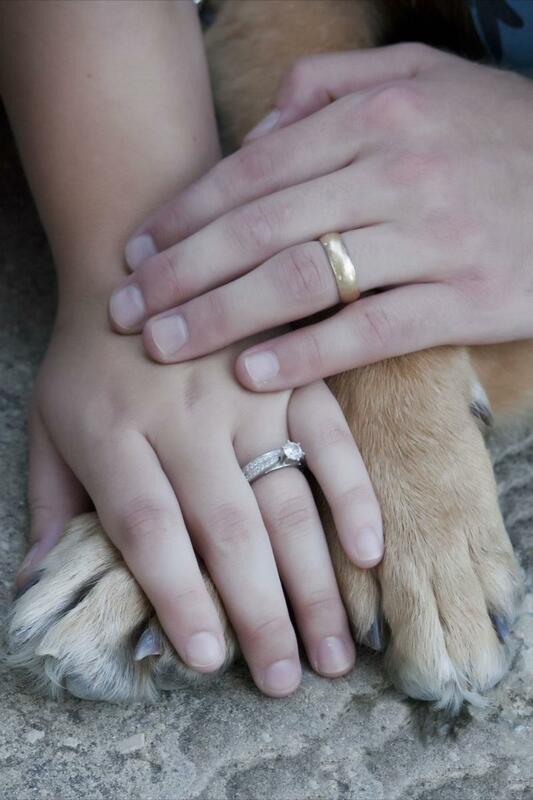 Our Family is Now Complete Again. Thank You Cindy. Ranger is a great addition to our family! He loves to walk, run and play! He manages to bring a stick home with him after our longer outings. Ranger loves to play with our neighbor’s dog, Bailey. They run, jump and roll around until they are exhausted! 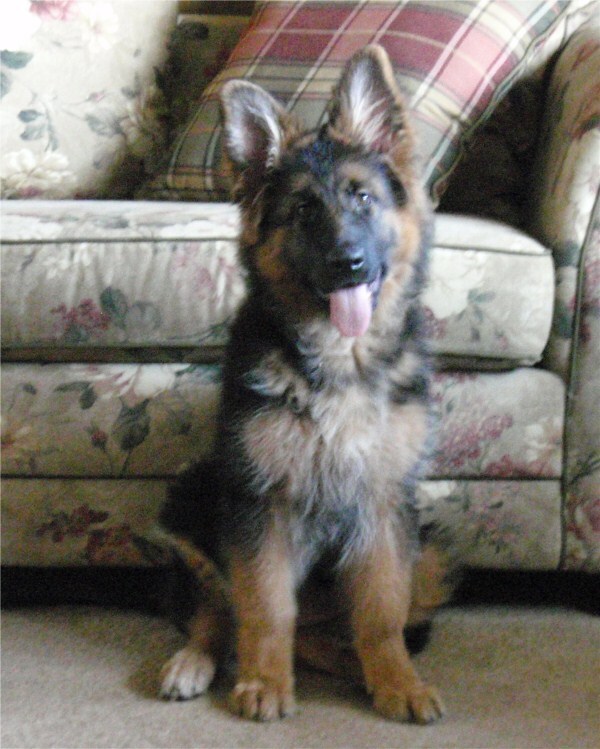 We’ve had 2 other shepherds before, but never one with a long-coat like Rangers! He is great looking, intelligent and full of energy!! We get lots of compliments! We absolutely LOVE our puppy! General (Kadmiel) has adapted beautifully. He has bonded with us from the night we drove him home. He never leaves our side. He already knows "Come" and "no". He even asks to go outside when he has to go potty. I can't believe he is doing this already. We have taken time off over the holidays to be able to keep him on a strict schedule, and give him lot's of love. I actually have a home office so I will be home with him most days. 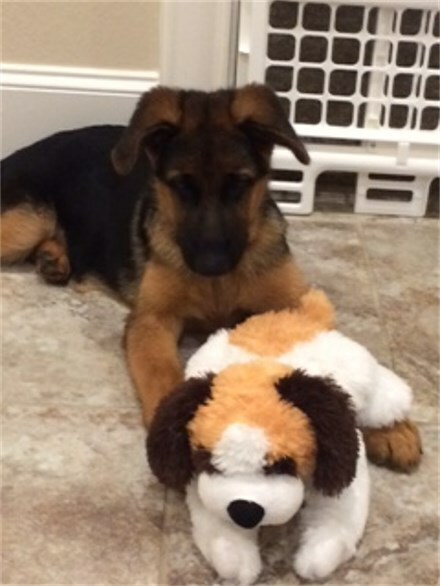 I wanted your advice on Chew toy's . He has a lot of toys, but I haven't given him Rawhide or a real bone yet. I've read good and bad on rawhide, and I know there are some "no rawhide" chew bones out there. 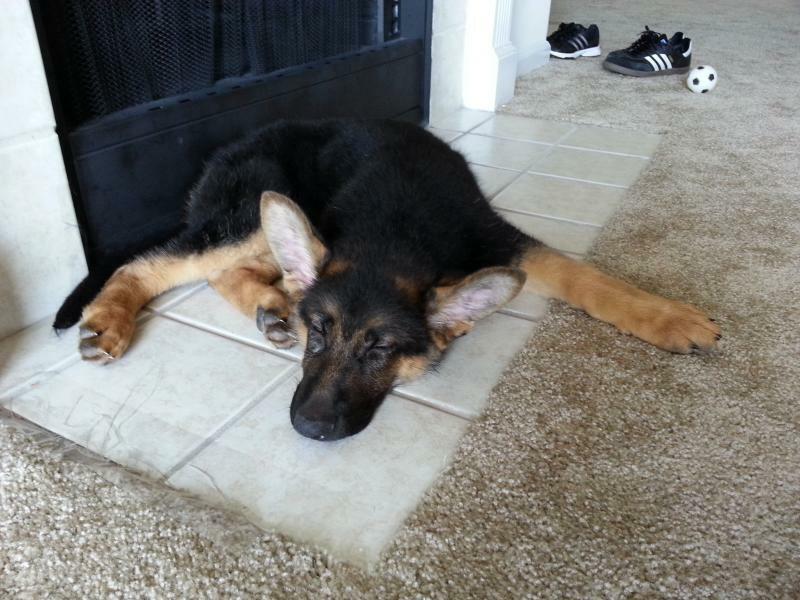 Kanto but as we call him "Rommel" will be 7 months old on the 12th of June and has been a God send for me. 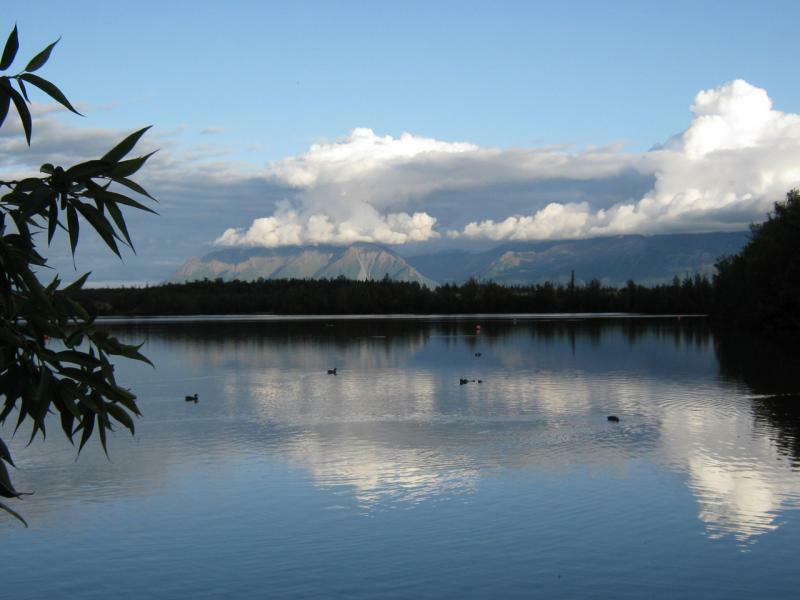 When my Mom passed away last November I found myself floundering as I had no one to “nurture”. 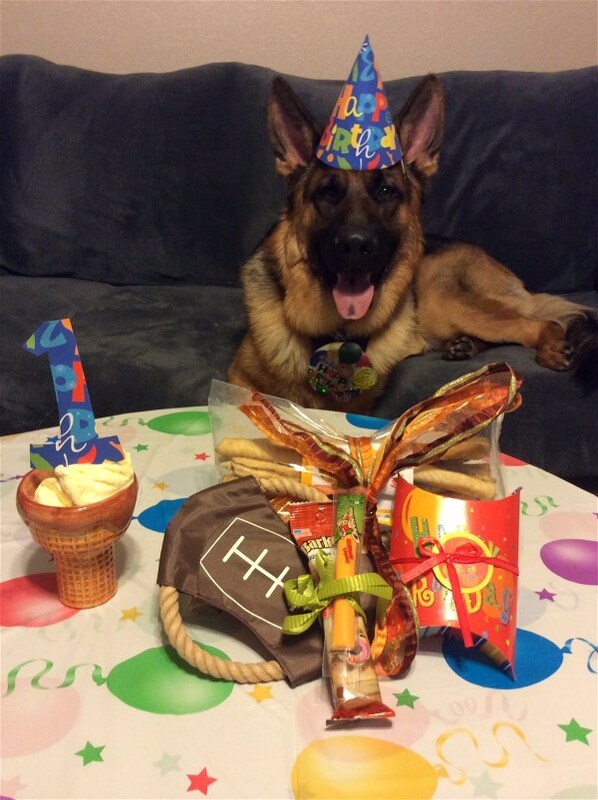 Rommel came into my life at the perfect time! He’s feisty, lovable and so smart that it amazes me! He’s been the prize pupil at our obedience classes and I can’t wait until he’s old enough to start agility training. We draw attention everywhere we go since he’s so beautiful and so full of personality. He’s absolutely fearless also! Nothing scares this boy. He has the curiosity of a cat! We can’t thank you enough for introducing him to me and my family. 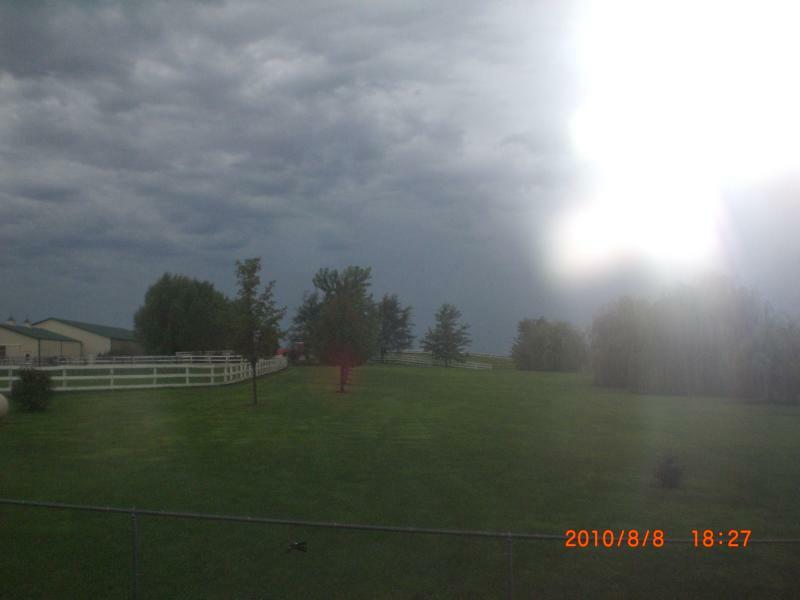 I’ve enclosed a couple of pictures for you. Thanks again!! Here is our testimonial. Every word is from the heart! Thanks for all you've done. 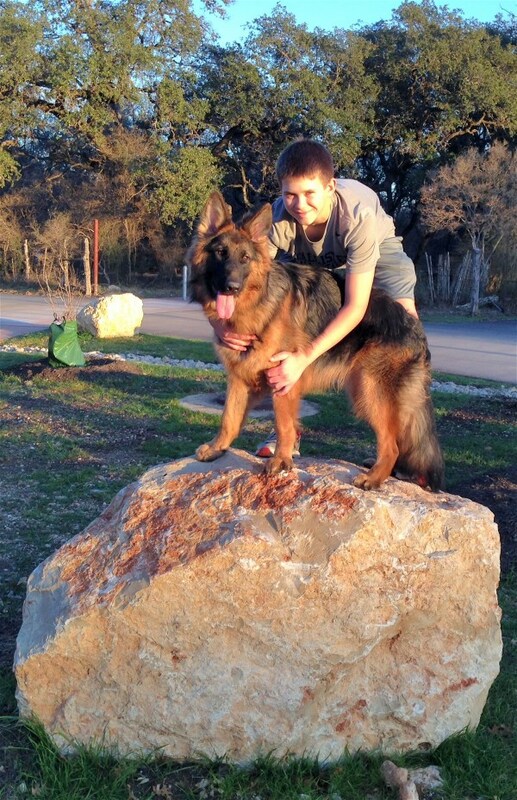 Aron, son of Mars vom Herzbach, is known around here as Bear. He has been an incredible addition to our household. Currently, he is just over 20 weeks and is growing and learning each day. From our very first night with him at 9 weeks old, he's been adorable, affectionate, curious, and friendly. He enjoys going on walks with us and he does a great job of walking by our side without pulling on the leash. Aside from his beautiful colors, face, and stance, he is also extremely intelligent. We managed to teach him all the basics (sit, stay, down, speak, come) in just a week with only 15 minute sessions each day, and we are by no means professionals. When we first got him we would joke that he probably thought his name was “Good boy” because we would say it so often in a day. 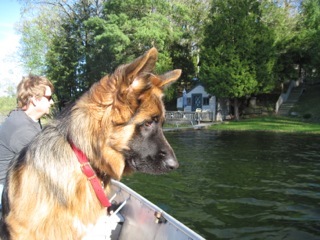 Bear is very well behaved in public and we receive compliments on his appearance and temperament where ever we go. 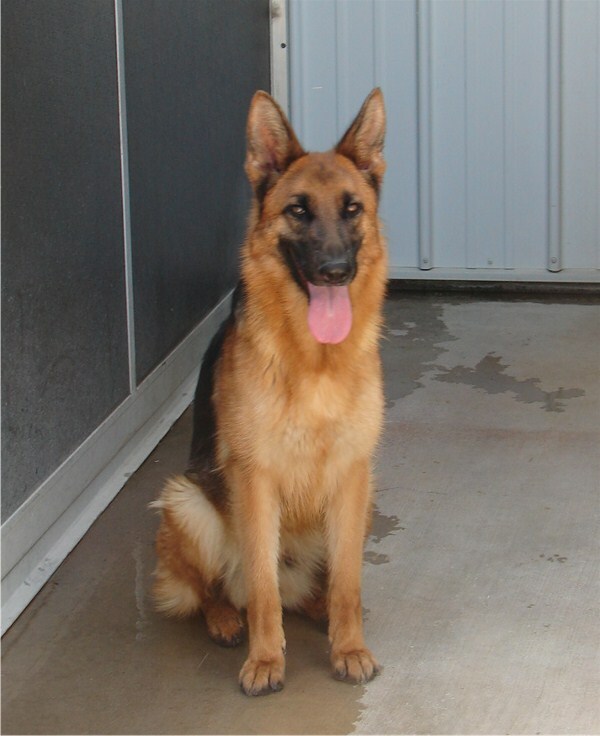 He enjoys meeting new people and dogs and has never turned aggressive or possessive. 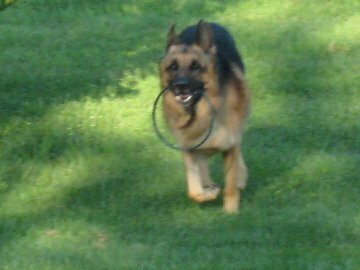 We often go to large secluded fields and play with him off leash and he always comes to us if we call him. We've only had him for a couple of months now but he has already buried himself deep into our hearts and we look forward to spending the many years ahead with him. We couldn't have asked for a better dog and Cindy has been so helpful in answering all our questions and making sure we give him the best chance of living a healthy, happy life with us. 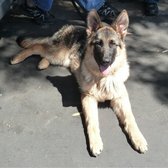 I would highly recommend this to a friend and I know that I will be coming back when I want a second GSD. Thank you Cindy! Momma's Boy and that's OK! Just wanted to let you know that Goran is doing fantastic. He is getting so big! 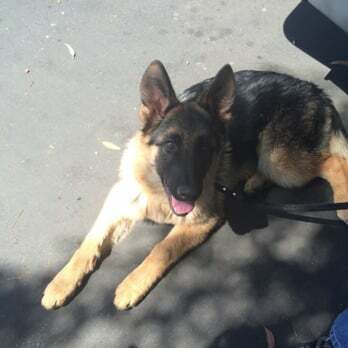 We have been practicing some commands and I am happy to tell you that at 5 months of age he sits, downs and stays on command on and off the leash. He is so smart and beautiful that many people and cars have stopped us to admire him. He loves our family but is super attached to his mommy (me) No matter what I do or where I go, he is always by my side. 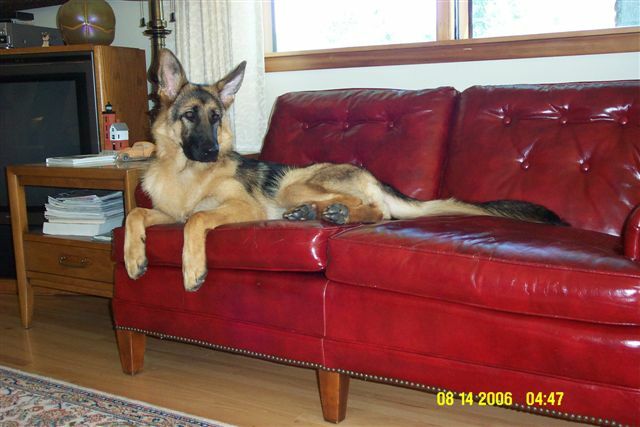 He loves to chill out on the leather couch and get the AC air on him. 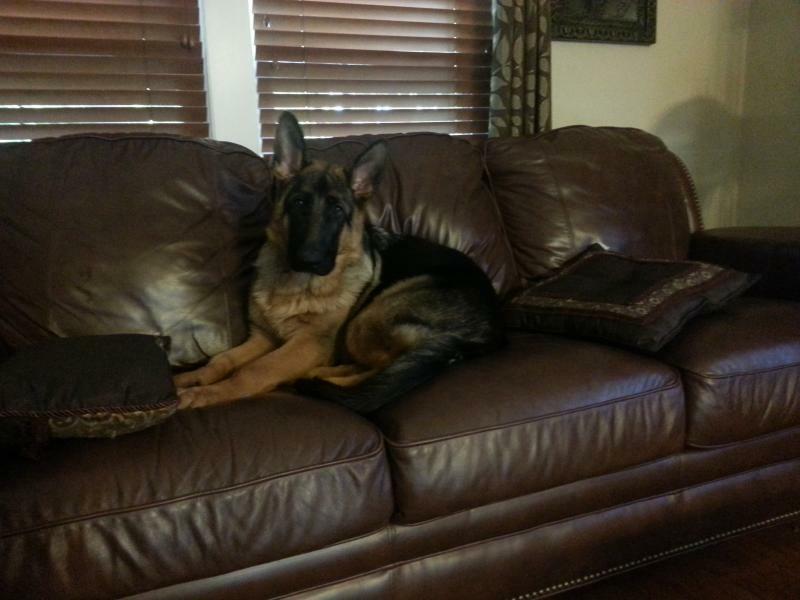 The loveseat is already too big for him. He is unbelievable and I love him deeply. 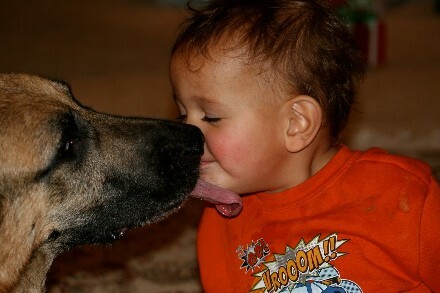 He is the joy of my life and our true loyal and protective friend. I will send you pictures soon. 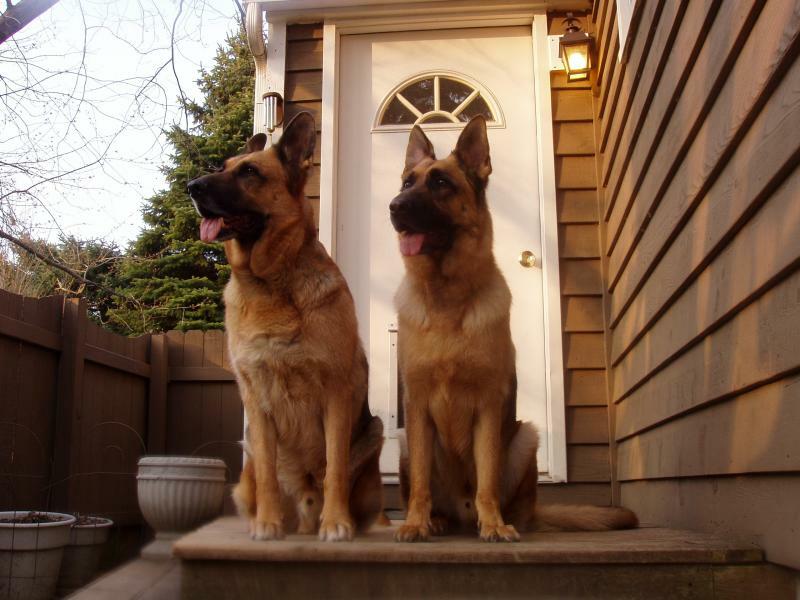 Rob & Paula's dream was to have 2 exquisite GSD's. One regular coat & one plush coat. 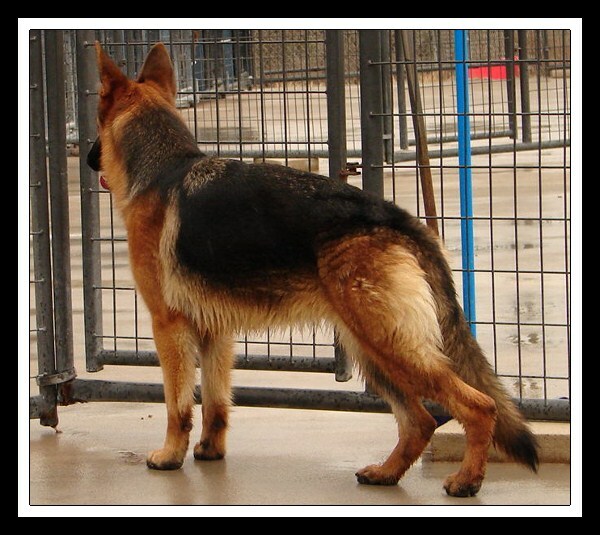 They chose to adopt Fraya & then also decided to take Ziko at the same time. Just a week before Christmas...we felt they absolutely had to be in Ohio by Christmas. No Problem. Merry Christmas to all! We'd like to say THANKS to Rob & Paula's decision to have a beautiful fence installed immediately so that Fraya & Ziko could have a secured, huge backyard to play in. 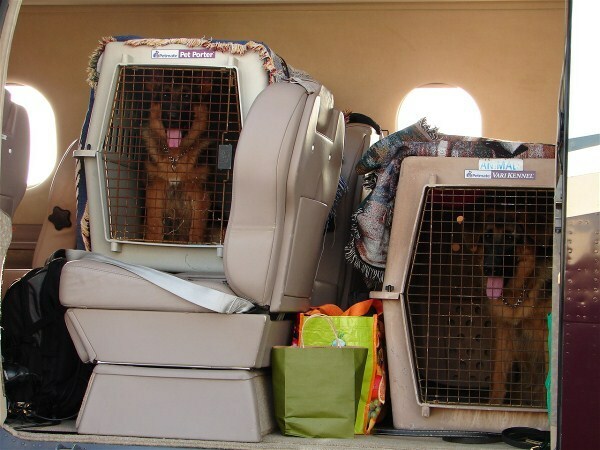 We'd Like to say a HUGE THANK YOU to Mark & Joanne for also transporting 2 more of our pups & supplies so that a Repeat Customer from Illinois wouldn't have to drive all the way to Texas. Yakaia is the full sister to Yenny who is on some of the Pups Videos Page. 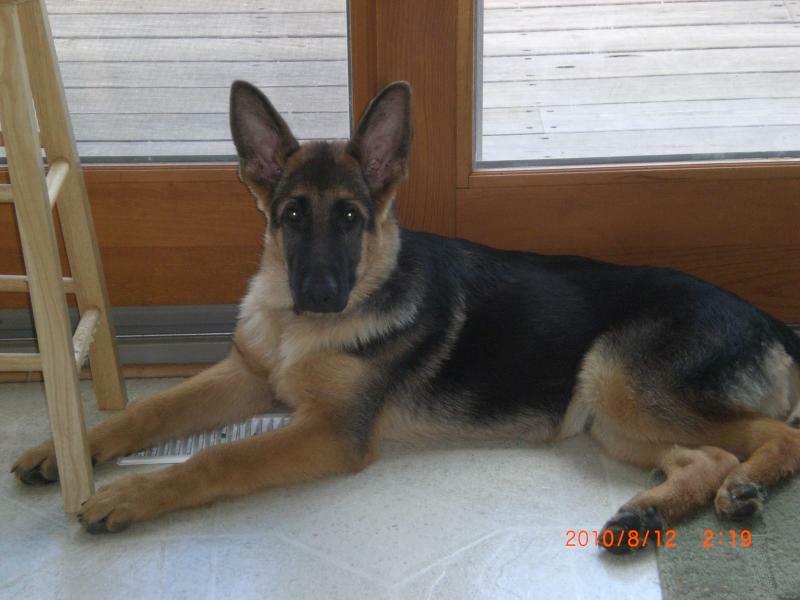 YaKaia at 8 Months Old. 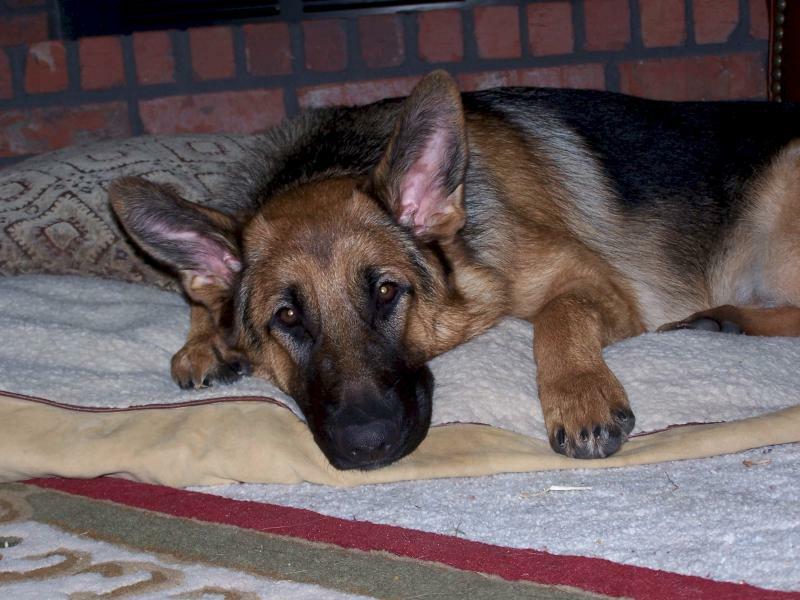 How Far would you travel to get the Perfect German Shepherd? For Dawn & Bill it was 4000 miles! And they did it Twice! After the traveling back to Alaska with many stops along the way, she will begin training for the Show Ring. Her 1st Competition to be in August! 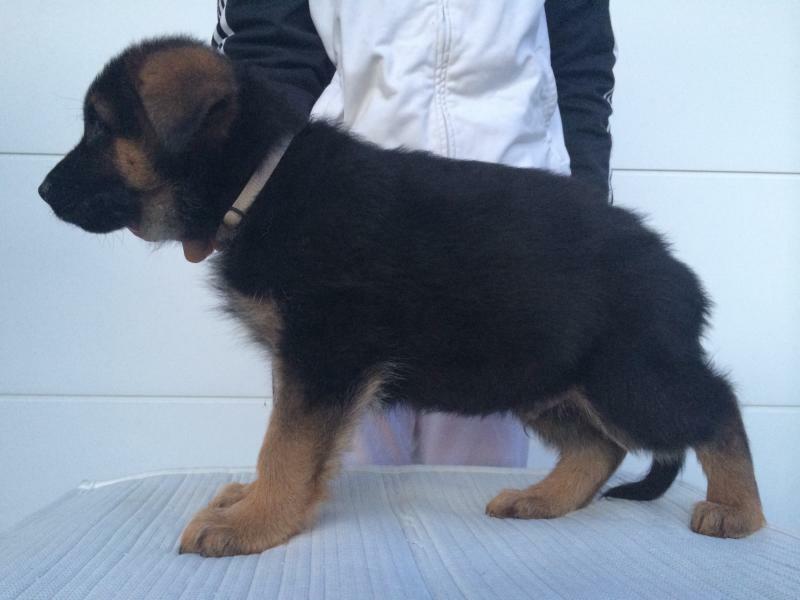 Although they do have plans to show her, 1st & Foremost she will be a Beloved Member of the Family. Congrats Bill & Dawn & Thank You for choosing us again! "Remi" has only been a member of our family for three weeks, but she has brought such joy into our lives! 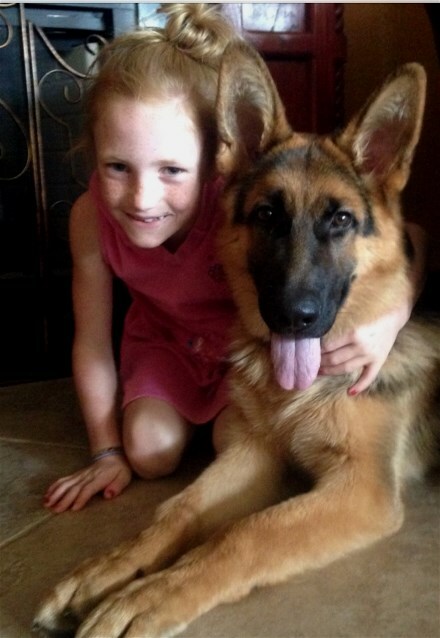 She has made friends with everyone and is especially fond of our Labrador, Luca! She entertains me for hours with her antics, yet she also has a very strong protective instinct, which is great because I recently moved into my own house. Everone always comments on how beautiful she is and on her perfect gait. 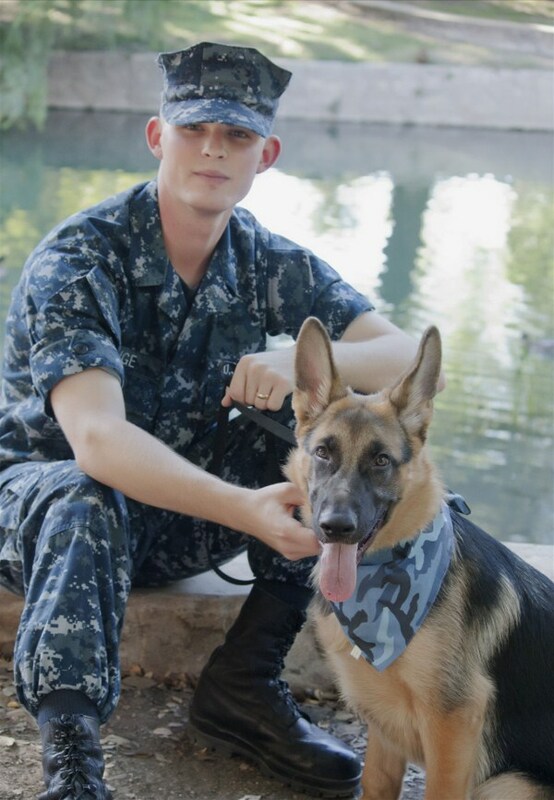 I couldn't ask for a better companion, protector, and friend. " P.S. 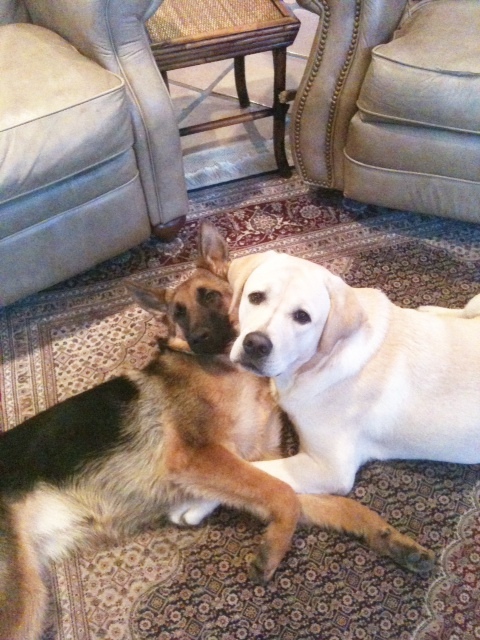 Thought you might like to see a picture of Luca my parents Labrador and Remi cuddling. They are in love! I know it's been a while, Nele is 7 now and she is doing great. We recently got a new puppy last week, and I had to share this picture with you. Our new addition is a two pound "morkie" and I am convinced Nele thinks he is her new baby. 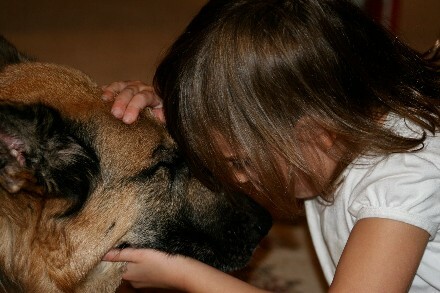 She has been sooo careful and gentle with him, it has been really sweet to watch. 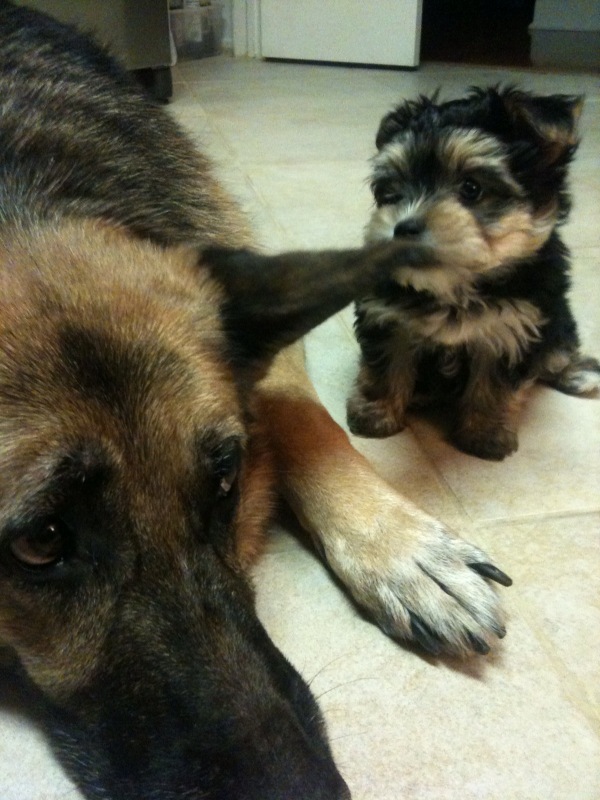 Here is the pup tugging on Nele's ear, the look on Nele's face says it all! Hope you are doing well, happy holidays! Hey Mom...my nose is dirty. 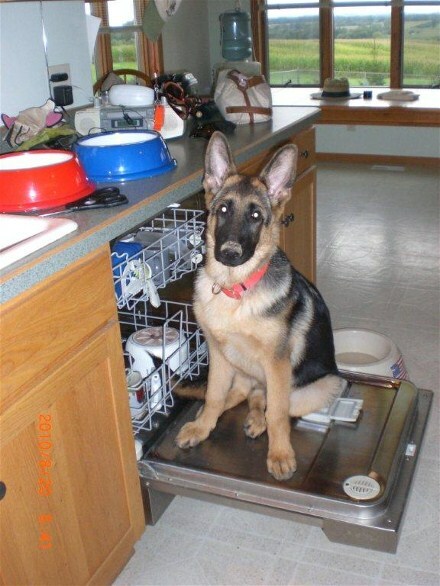 Should I stick my face in the dishwasher? Hi Mom, This is where I live. 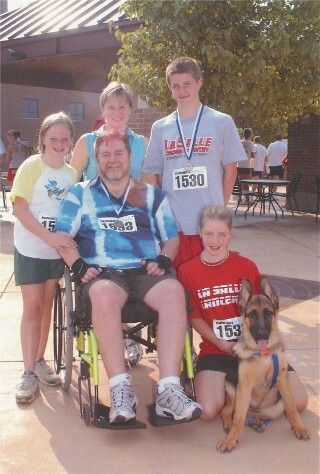 There are 3 miles of walking paths I share with my family. My walks are getting longer as I get older and stronger. I shagged up a big buck deer that put my fur up on my back. He ran away, I would have chased him away but Dad keeps me on a check cord. He says that I have to stay with him and not get lost because my new Mom would just die if I got lost. I'll send you more pics as I grow. F.Y.I. 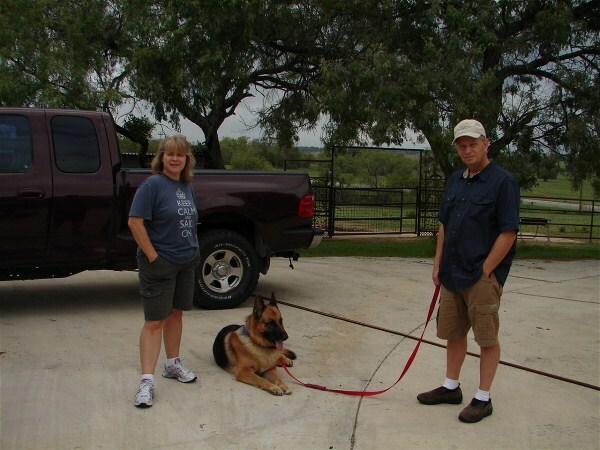 This is Linda & Ron's 2nd dog from us. 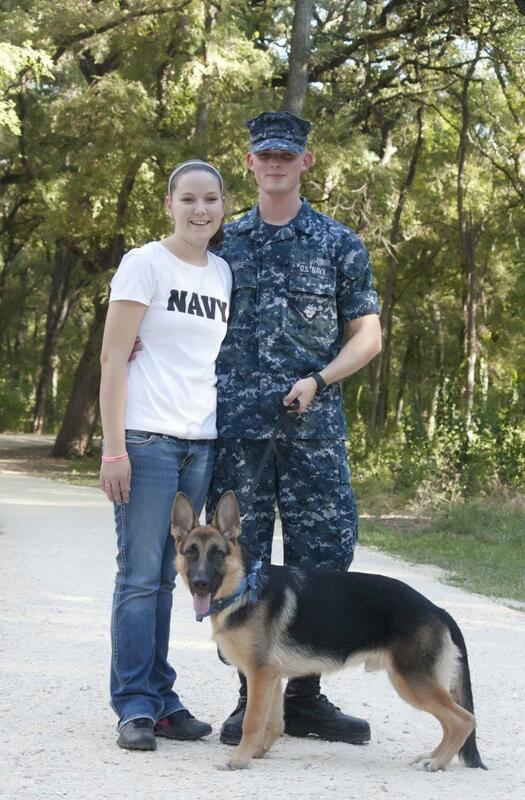 Their last dog Chad passed away at 14 and a half years old. He remains in our hearts forever! Hi, it's Brandon the owner of Nalah. I just wanted to let you know she is doing great. Every where I take her and everyone that see's her compliments on how beautiful her coat and colors are. Also how well behaved she is. Whenever I'm working on my truck or playing basketball or just talking to friends in the front yard, I let her out with me and she's never farther than 20 feet from me. And is so obedient as soon as I call her she comes right back to my side. She's doing really well! I just thought I'd let you know She's Great and Doing Great! on your incredible titling success. We're very proud of you both! What a Special Team you 2 were Carla. our beautiful pups listed with the name Fiona. A Perfect Match! 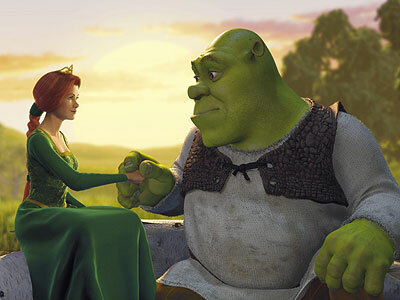 Fiona was a Breathtaking "Princess"
he was not the Prince Charming Fiona deserved. but he is very Charming! they hoped for and glad they returned to us for their new "Prince"
Thought I'd write a quick note to tell you how our puppy dog is doing that we got from you. Not only has he only had but 1 accident (my fault-I was on the phone), but he listens off leash like a Champ. He is very smart and very loving. We decided to keep that name because it suits him to a T and he knows it. He loves his vitamins and eats 95% people food. He is just EXCELLENT! A Million dollars couldn't pry Long John Kelly from our arms! Thank you for making such greats dogs. We'll be back for another soon. I just wanted to send some additional pictures of Hagan with our new baby Alexandria. He just loves both our kids so much. If our son goes outside, Hagan is right beside him playing in the dirt. When Alex is in her exersaucer, Hagan always greets her with a gentle lick to the side of her face. 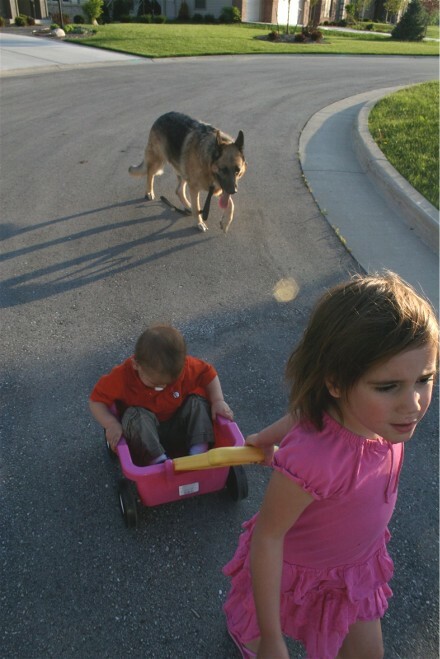 Our children have their own doggie guardian angel. Hagan may not possess titles or medals, but he has our hearts. Thank you again. 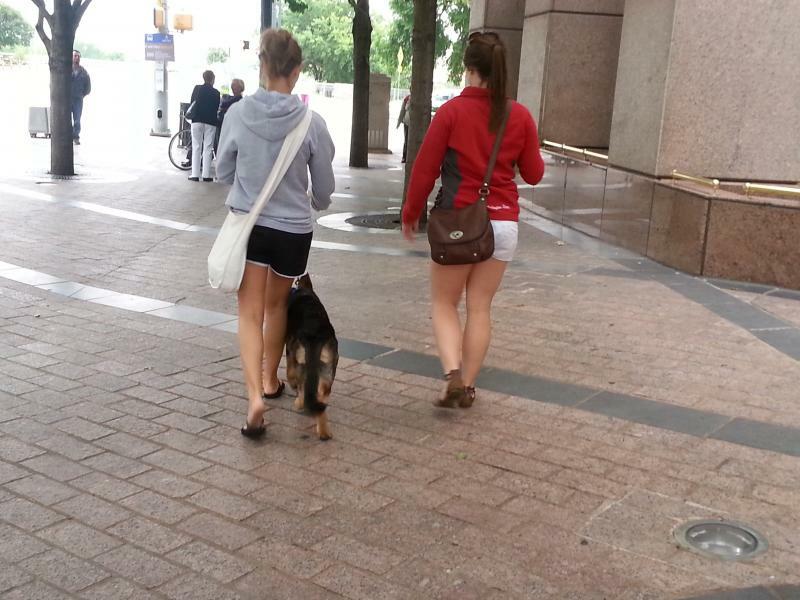 Update... Beth has gotten another dog from us, a female. Photos soon. Hope you are doing well. 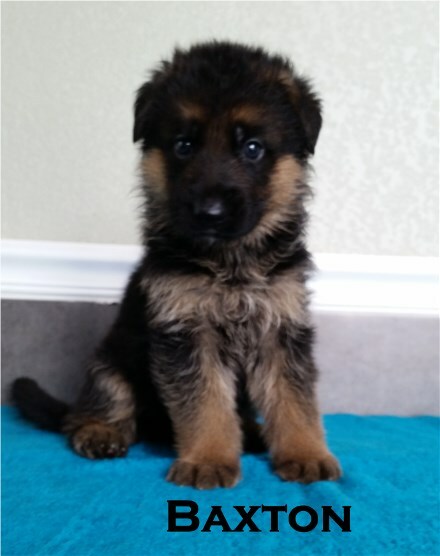 I want to get another puppy and will ONLY DO SO FROM YOU! Don't know when though, hopefully soon! We wanted to give you an update. Dina is full of energy at age 5 and 1/2. We're getting loads of snow here, and she likes to "help" with the shoveling by snapping at every shovelful as it flies through the air. She also loves to work, and carries the smaller pieces of firewood from the woodshed to the house. And her skill with tennis balls is something we've never seen before: she uses her snout, tongue, or paw to roll it along to floor right to our feet. She also likes to drop it repeatedly and catch it on the bounce, like someone dribbling a basketball. She's the most sweet natured dog we've ever known and everyone loves her. This summer, some jerk abandoned a couple of small puppies out here, maybe six weeks old. We took them in for awhile, and Dina just wanted to mother them. She's Great! I think of you often, and hope things are going well for you in this trying economy. Mort my husband is declining rapidly, but Maggie and Olex keep him company while I am away at work. Maggie is doing very well, and can be found with her head in Morts lap most nights. The dogs can not wait for spring, nor can I . 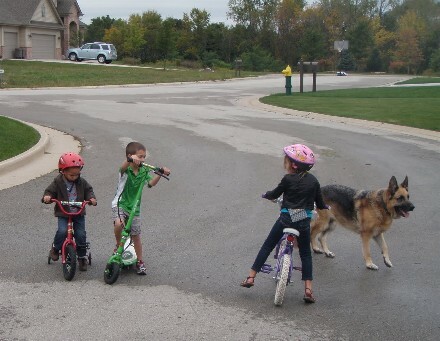 They run and play ball each day and meet with all the neighbors. They are a little house bound, and bored this winter, I can not walk with them during the worst weather because they go too fast and I could end up falling. They are loved by everyone, even the nurse that has been stopping in each day for Mort. Maggie still kisses everyone she meets. I hope Austin has stayed out of all that snow Texas has been getting, we are expected to get 12" Tuesday and Wednesday. My daughter and family are coming up from Ky this weekend, for her birthday. I hope they can. go anywhere with him and can't leave him with anyone. Have a Happy Valentines Day 2010 !!!!!! "He's the Love of My Life!" We love Jago so much! He's truly the perfect dog for our family! Happy, healthy, intelligent & beyond gorgeous! 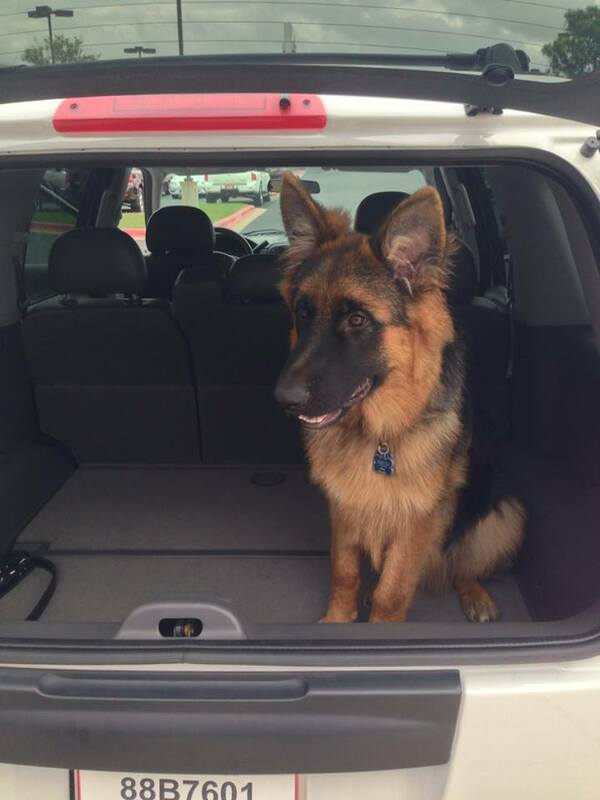 We're so happy we got the referral from our friends Theresa & Dave about your kennel. Knowing the 3 dogs they got from you was certainly proof enough. 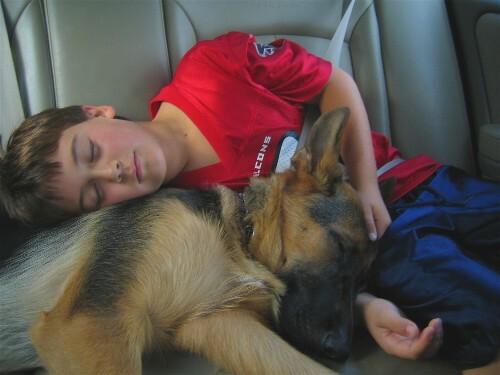 Jago and Nathan after a day at the park. Although I have been verbalizing my praises to you about Helsa for as long as I have her home with me, I also want to write an appropriate tribute for all you have given me in this wonderful Pup. 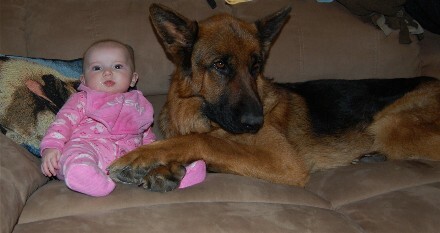 Helsa is now 7.5 months old and she is the joy of my life! It is real fun to take her anywhere as she is so admired by all who see her. She has a personality which matches her physical beauty and neighborhood children run out to pet her and play with her whenever we go walking locally. When I brought her home initially at the age of 2.5 months it was very evident that she had loving physical and emotional care before I got her. She loves to cuddle and she loves to be groomed. She actually “house trained” herself in a couple of weeks and is respectful of everything inside our home. She does chew but only applies the chewing to her own numerous toys. 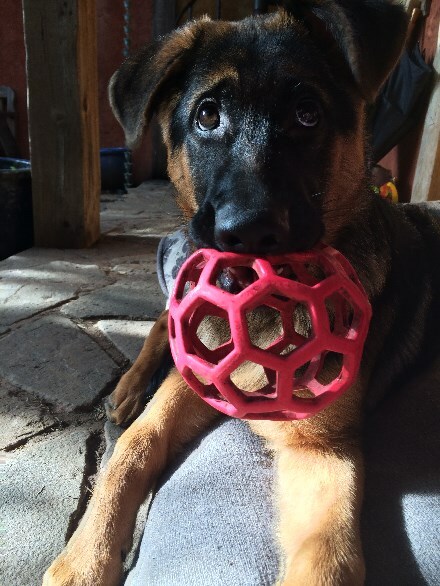 She is extremely intelligent and knows the names of her toys and understands whole sentences! Helsa is now 4 years old. I can't believe it! She's An absolute angel. Both her and Sina which I also got from you are the LOVES of My Life! Sina just celebrated her 11 th Birthday. She is still stunning, and as active as a 5 year old. Thank you, Thank You, Thank You for my wonderful Girls! 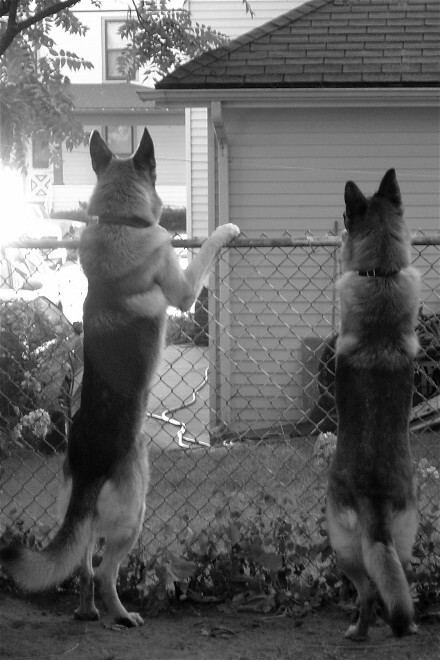 Here's a photo of the boys all grown up...Mikko & Gunner. These were the easiest dogs of our lives to raise. They just Get It! We're almost ready for a third! UPDATE: And Baby PUP SUSIE Makes 3! Well, it has been almost 6 years since I received my beautiful girl and I can not tell you how she just makes my life better. She is the best. I finally have downloaded pictures to send to you. I hope they are not too big. I hope all is well with you. She has far surpassed me and my ability to train. She is the absolute best. I love her so much and can not imagine life without her!!! Had a MESSY Divorce. Didn't care about getting much other than Her! Would have left the country and kidnapped her if I had to. Not giving any visitation rights either! She's all Mine! 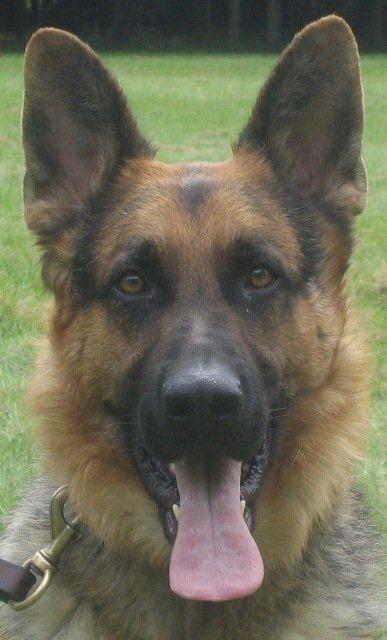 Here are some pics of Axel. 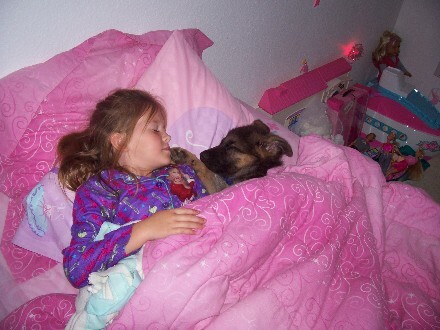 He puts my daughter to sleep every night because she is afraid to go to sleep by herself. When she is asleep, he assumes his post at the front door for the evening. He is just PRICELESS!!! 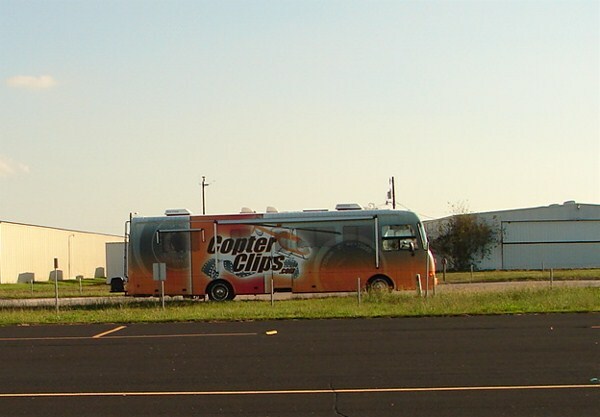 I just surfed on to see what you were up to there on those acres of Heaven, USA. I was greatly rewarded as I navigated your website. I was looking for pictures of "Zion's" parents . 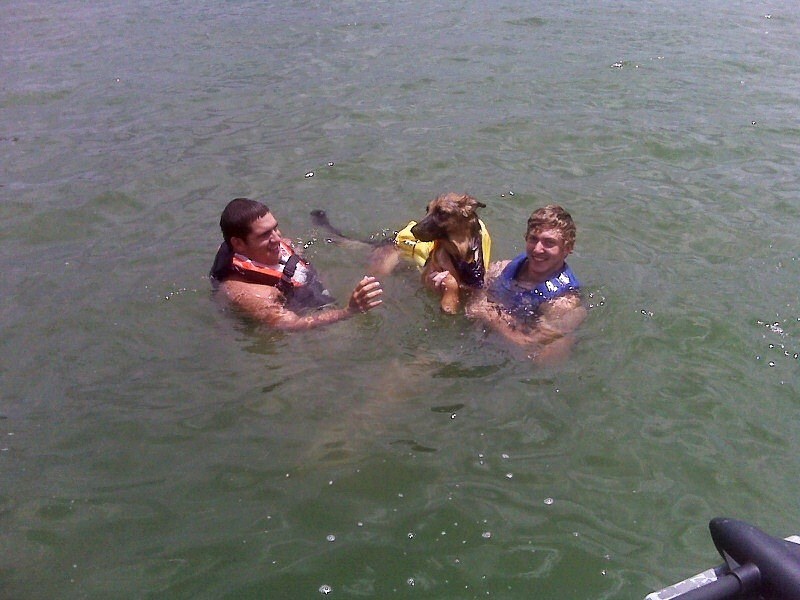 He has been such a great dog! He's exceptionally gentle, and TremendouslyLoved. Our Conversion Van serves as his Luxurious Moving Dog House which he zealously guards with his life. them to the right spot! 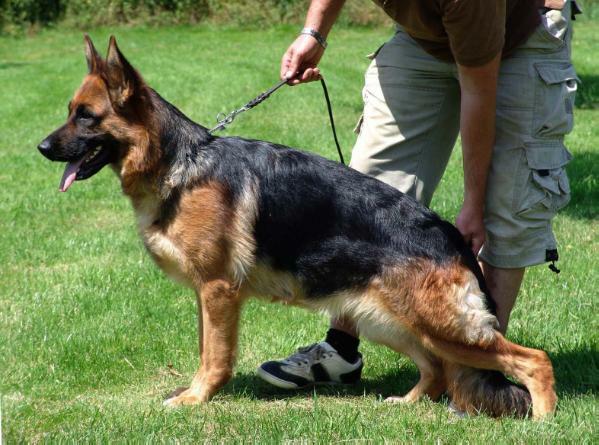 I don't know if I told you this, but when we first went to your kennel in early 1999 to see your dogs, I knew we were starting at the Top, and that we probably would never be able to afford one of your dogs, but I wanted to see what Great Shepherds looked like. I was hooked! As a matter of fact All of Us Were! We Could Have Ever Found! companion, so I'm now looking to get a second dog. Dec. 22 is my birthday, so I'm also interested in your "Q" male. 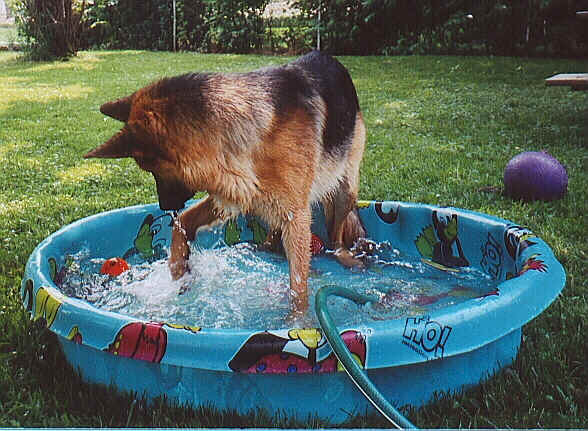 when he's not sitting in his pool! Update: Erika did buy another pup from us..the Q male. computer. We just love him!